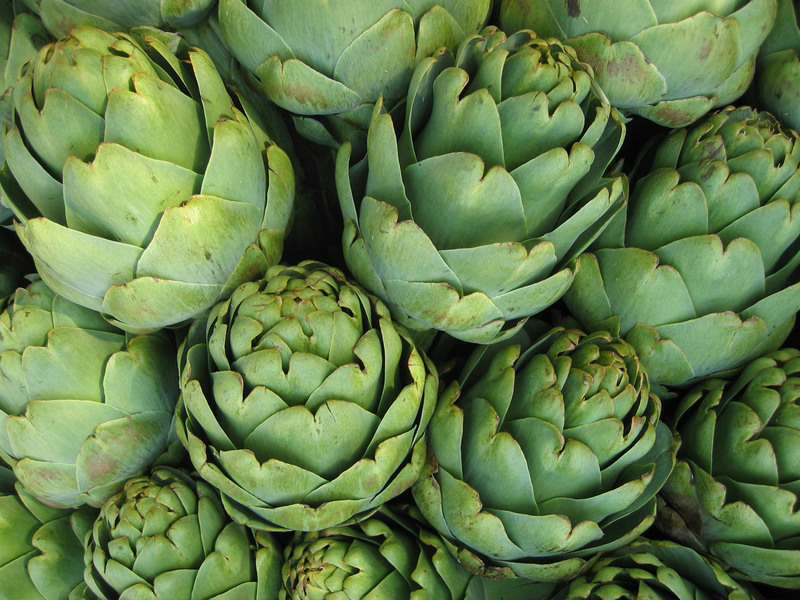 Remove outer leaves from baby artichokes until pale green leaves appear; trim stems and top quarter. Cut into halves and dip in acidified water to preserve color. Set aside. Sauté 4 ounces pork scallops in 1 ounce butter until lightly browned; remove from pan and hold warm. Place 8 to 10 artichokes halves in pan and sauté 5 minutes. Add apples and cook until just tender. Add onions, garlic, sage and Calvados; toss together 1 minute. Add chicken stock to moisten. Season to taste with salt. 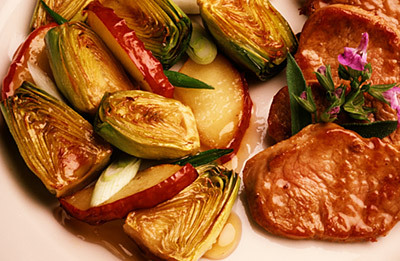 Arrange pork scallops on heated serving plate with Baby Artichoke Calvados Sauté. Garnish with sage sprig.